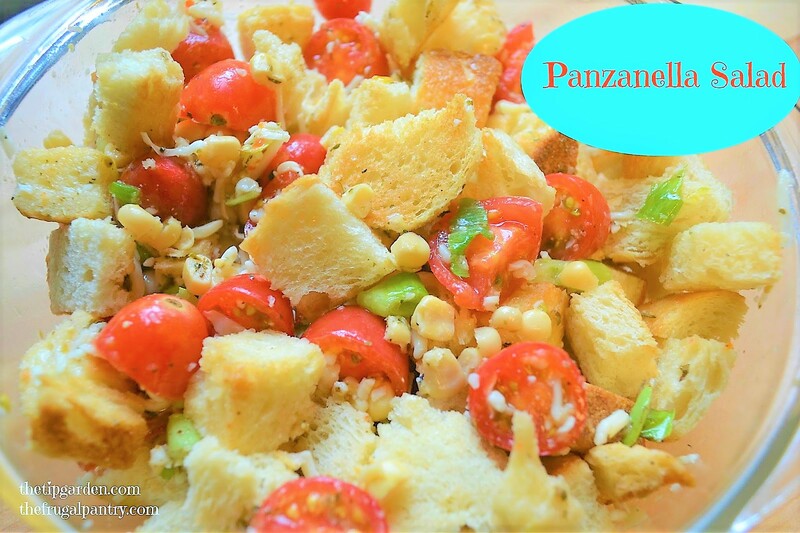 Panzanella Salad is the perfect side dish or light meal during summer. It uses leftover day-old bread, and cherry tomatoes in the starring roles. It takes only minutes to prepare, and by adding in tuna, grilled chicken strips would make a lovely dish for having some girlfriends over for lunch, or wedding /baby shower. Feel free to be flexible on the ingredients. In this version I grabbed what I had on hand in the fridge. I will print the traditional recipe and also tell you my substitutions based on what I had on hand. 6-12 fresh basil leaves torn or chopped small. Spread bread cubes on a baking sheet and lightly spray the cubes with non stick cooking spray, coating all sides. Toast 7-10 minutes until crispy. Chop onions (and cucumbers if adding them in). In large bowl mix together all vegetables, and add in ingredients. When bread is cool, lightly stir into the vegetable mixture. Lightly toss olive oil dressing into bread/tomatoes and mix together. Wonderful looking salad. Salad's like this are always nice on a hot summer day.